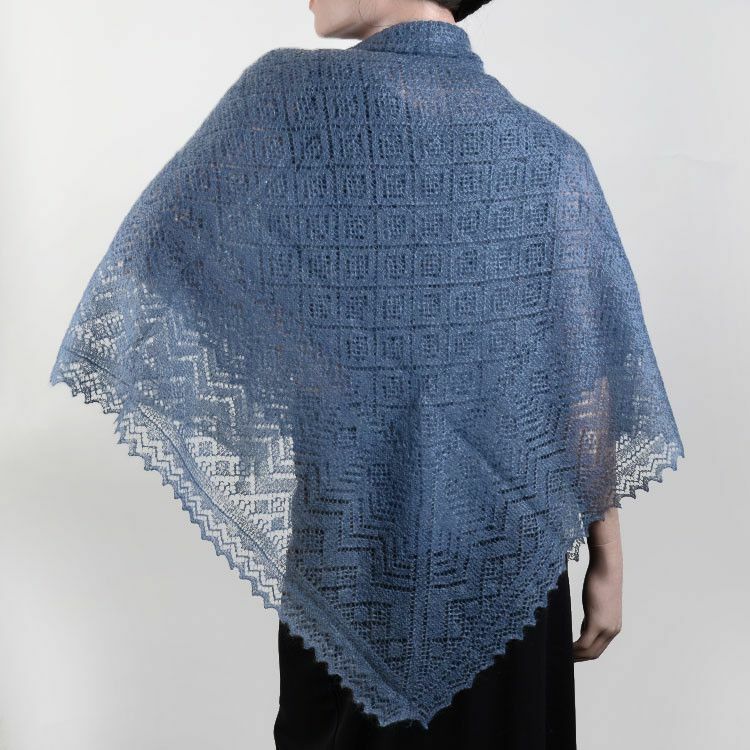 This large Orenburg shawl is one beautiful way to keep warm! 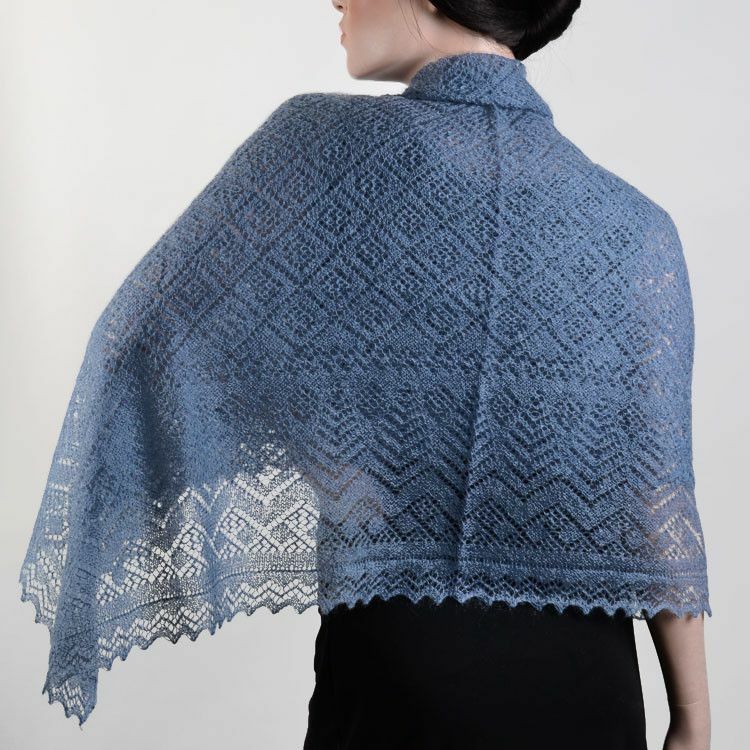 Wear it around your shoulders, neck, head, or waist... the options are endless! 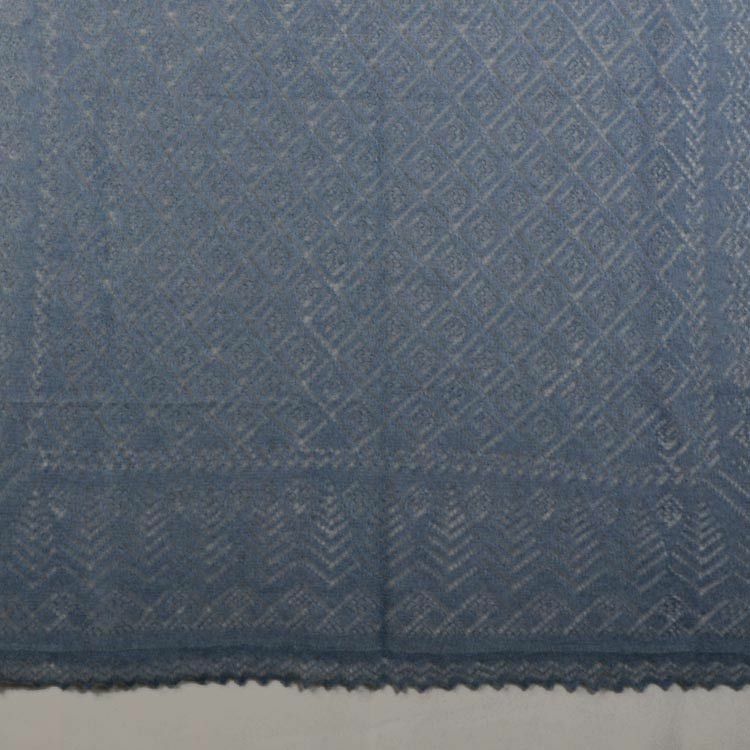 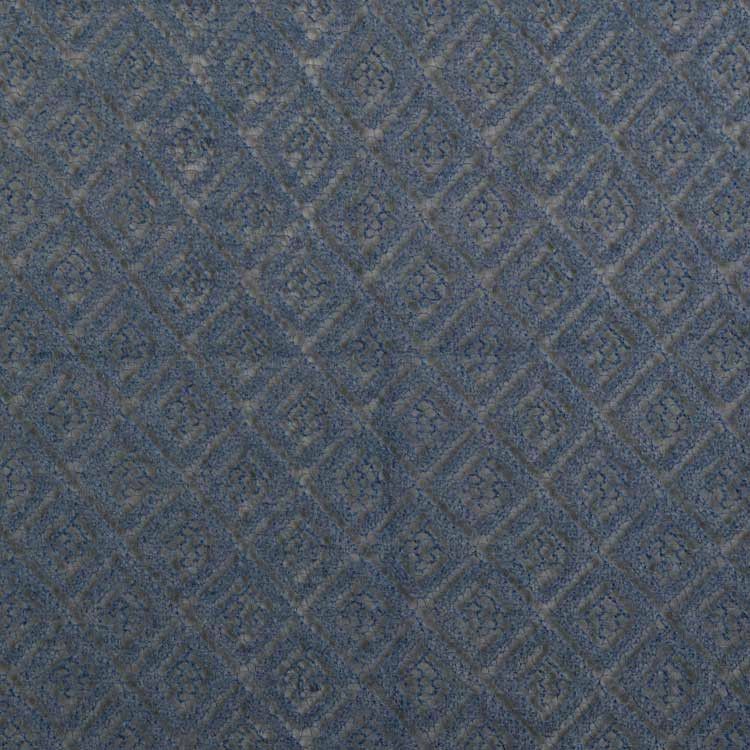 It is 47" x 47" in size, is made of 50% down + 50% viscose (nylon), and is a unique dusky blue color. 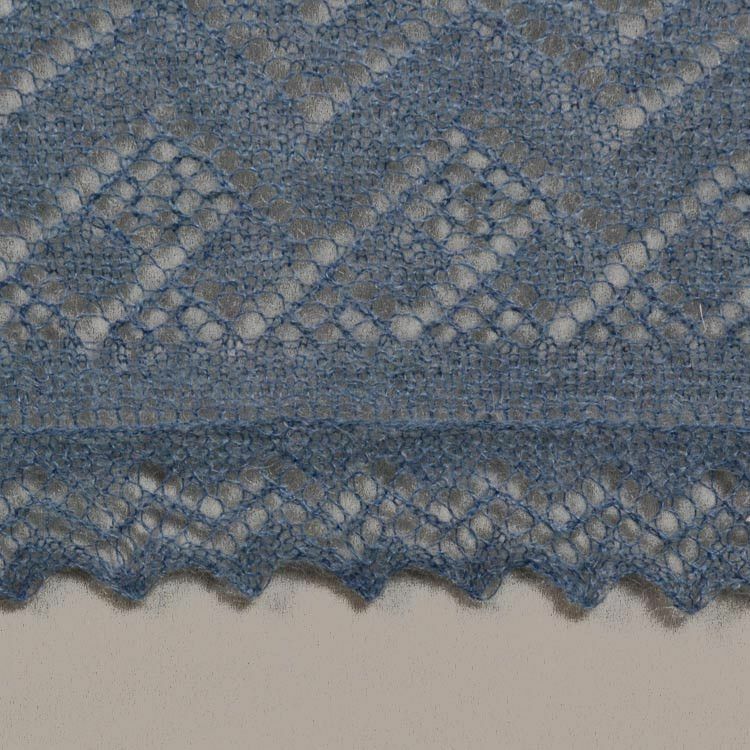 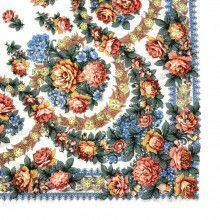 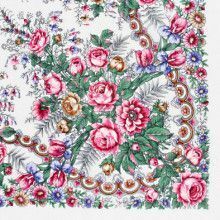 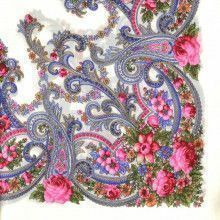 Imported from Russia, this shawl has a simple pattern.